Trade unionism in engineering first emerged in the 1780s when a Friendly Society of Mechanics was established in Bolton, Blackburn and Chorley. By 1799 employers in London asked Parliament to make it illegal for millwrights and engineers to combine. This resulted in the passing of the Combination Acts in 1799 and 1800. In the 1820s local engineering unions began to develop in industrial areas. This included the Steam Engine Makers' Society (1824), Friendly Society of Mechanics (1826) and the Friendly Society of Engineers (1833). 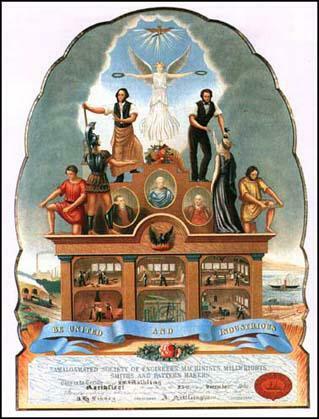 In 1851 a successful attempt was made to form a national union. The result was the Amalgamated Society of Engineers, Machinists, Smiths, Millwrights and Patternmakers, an organisation with 10,841 members. William Allan was elected General Secretary and by 1861 it had 186 branches and over 33,000 union members. In the 1880s the Amalgamated Society of Engineers (ASE) became much more militant. 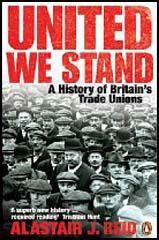 Important figures in the union included Tom Mann, John Burns, and George Barnes. These men took part in demonstrations such as the one at Trafalgar Square on the 13th February, 1887 that turned into the riot known as Bloody Sunday. In 1890 John Burns was elected general secretary of the union in 1890. When Burns became a member of the House of Commons, George Barnes replaced him as the leader of the union. The ASE was now Britain third largest union in Britain. 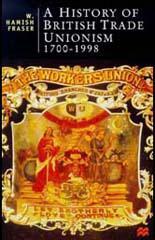 In July 1897 Amalgamated Society of Engineers Barnes led the in a long strike in an attempt to win an eight-hour day. The strike ended in January 1898 without this being achieved, but one success was the acceptance by the Employers Federation that it was willing to negotiate wages and conditions with the ASE.